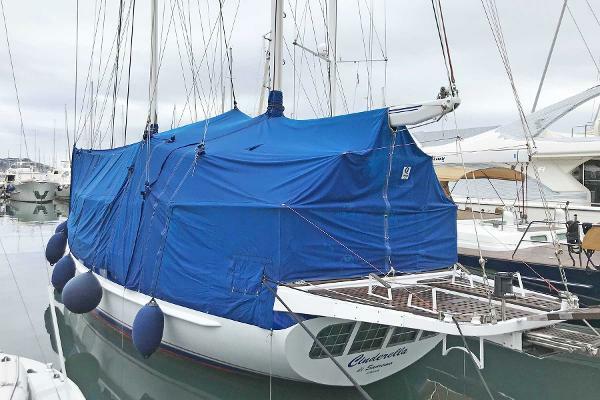 The Jongert 20 DS CINDERELLA is a classic ketch, designed for very comfortable, safe cruising and built to the well-known Jongert superior standards. She is a true bluewater cruiser, strong and reliable. 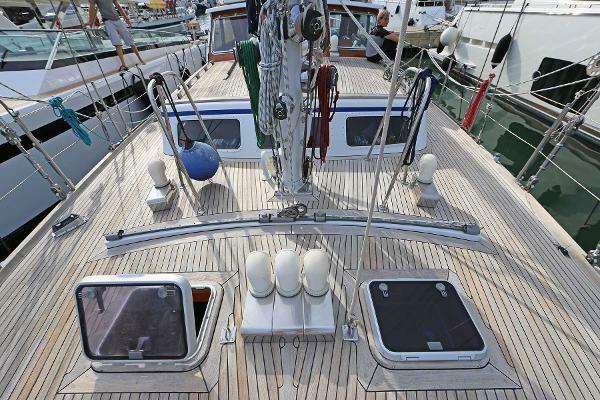 Thanks to her hydraulic furling system and the self-tacking staysail she can be operated with ease by a small crew. Her large seating area on the aft deck is the ideal place for al-fresco dining or a well-deserved sundowner. The cozy and spacious pilothouse with 360° view is the perfect place in harsher weather conditions. The side stairway gives safe and easy access to the water or tender. Below deck, high quality teak paneling and white surfaces dominate the cozy atmosphere, with a large dining saloon and bar, combined with a practical kitchen. The spacious aft owner’s suite is furnished with a large double bed and sofa. The typical Jongert stern windows provides abundant natural light and an appealing feeling. The two identical guest cabins forward offer bunk beds and the upper berth can be enlarged to a double berth. All cabins are en-suite. Her engine room is large and well laid out, built to ensure easy access to all systems for maintenance. CINDERELLA has had the same enthusiastic and caring owner for more than 20 years. Sheis particularly well-equipped and will be sold complete, with everything on board plus a huge amount of spare parts stored in a garage nearby. She’s perfect forevery sailor who wants to travel with family around the world, in maximum comfort and security. Her future owner will make a clever choice of top quality and lasting value. 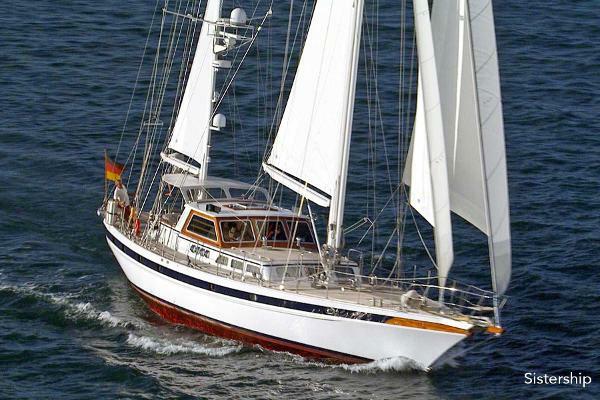 Dulces Suenos is a classic cruising luxury motorsailor ketch. Built in 1980 by Gulfstar with attention to detail and comfort. She has sailed as far north as Maine and south to the BVI's. She's a true bluewater sailor with a 5'6" draft, that also works beautifully as a seasonal coastal cruiser or live aboard. The current owners have sailed and cruised her on and off since 2006. She sails easily in light winds and gracefully and fast in 25-30 knot winds.